2. My next favorite is this gorgeous Fall Festival. It is a free Drops Design that can be found here. Sizes range from S/M to XXL/XXXL. Again-just gorgeous!! 3. Ahhh!! Does this not just speak ‘Fall’?!? and it looks just oh, so comfy! This Patons Tweed Under Wraps is another wonderfully free pattern over on yarnspirations. Loving it! 4. I love this Dwell Sweater from Jess! I can see why it is called the Dwell Sweater because it looks like you could positively just live in it!! This is a free pattern that is perfect for beginners, and she always gives those wonderful tutorials showing you each step of the way. Check it out over on Make and Do. 6. This Popover Top is a free pattern download from Lion Brand. I can see this as another wonderful comfy one over jean leggings with boots for a casual look. But I love the metallic yarn they suggest. Using that pretty shimmery yarn would make this sweater able to also be dressed up to the nines! You can find that free pattern download here. 7. I love the stitch work and the neutral colors done on this pretty Driftwood Oversized Poncho. I really am thinking this is another one I am just going to HAVE to do!! This is why I like sharing what I love… I will never be able to do them all!!! You can find this lovely by Jessica over on the Mama In A Stitch Blog. Thank you Jessica!! 8. How cute is this Easy Mesh Pullover?!? Just looks like fun and easy wear for fall! This is a free pattern by Teresa Chorzepa over on Ravelry in sizes S-3X. 9. One of my personality quirks ( is it really a quirk? nahh) is that I love Retro!! To me, this is just classic… You can find this Silver Legacy Vest on the wayback web here. 10. Last, but certainly not least, this Granny Cardigan just looks FUN to make and certainly warm for those blustery late days of fall, turning into winter. 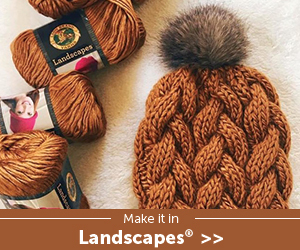 This is another free pattern that can be found on yarnspirations. I hope you enjoy this roundup of wonderful sweater patterns. And if you’re like me- you will wish you could do them ALL for this fall! But, tell me- what is your favorite fall sweater pattern?? ?